After games against the Winnipeg Jets and Chicago Blackhawks this weekend, the Pittsburgh Penguins have surpassed the halfway mark with 42 games played in the 2018-19 season, and it’s been a tale of two quarters for them. The Penguins started strong with a 6-2-2 record in October but followed it up with an abysmal 4-7-3 November that saw them briefly fall to last place in the Eastern Conference. However, since Dec. 1, they’re 13-3-1, behind only the Tampa Bay Lightning for the best record in the league. Their recent eight-game winning streak was snapped on Sunday night against the Blackhawks. After 42 games the Penguins are 23-13-6, good for second in the Metropolitan Division. The Penguins’ forwards have produced a lot of mixed results this season. The top-six carried the scoring for much of the first half, but the entire lineup has been scoring during the team’s recent run of success. So how does each forward on the roster grade out after just over halfway through the 2018-19 season? Crosby may never score 100 points again or win another Art Ross, but at 31 years old, he remains one of the best players in the world. Since starting the season slowly with five points in six games, Crosby has been a force as he has 46 points —19 goals, 27 assists — over his last 33 games. Overall, Crosby has 51 points in 39 games. It’s something that’s commonly said, but Crosby’s play since returning from a three-game injury absence in mid-November is among his best in recent memory. 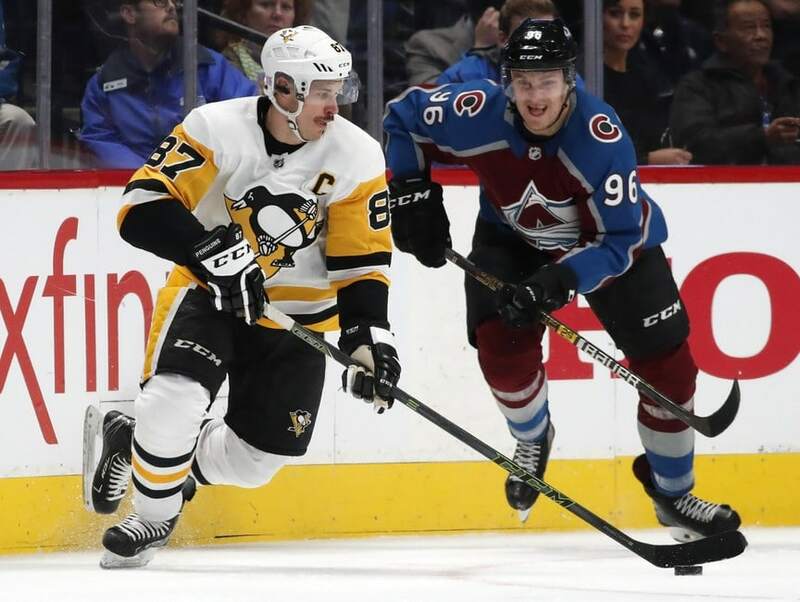 Playing on a team with Evgeni Malkin, Kris Letang and Phil Kessel hurt his chances, but Crosby has a case for the Hart Trophy as the league’s most valuable player. He was the Penguins’ most consistent player when they were struggling, and he’s been their most consistent player during their turnaround. Crosby, along with Jake Guentzel, carried the offense while Malkin and Kessel were in their slumps and are among the top duos in the league. Look for Crosby to continue his elite play in the second half. Malkin’s overall play has been up and down since November, and he’s often caught overcompensating as he tries to break out. Most nights Malkin hasn’t been noticeable which would be good if he were a defenseman and not one of the best forwards of his generation. Cullen was making a case for the worst player in the league before going down with an injury in mid-November but has looked much better since he returned. In 30 games this season, the 42-year-old has four goals and ten points, including a shorthanded marker. He’s been better on the penalty kill since returning and has formed a competent fourth line with Riley Sheahan and Zach Aston-Reese. He still hasn’t exactly been the best fourth line center in the league, but his expectations aren’t nearly as high as Derick Brassard’s, which is why he’s received a C-minus grade. Sheahan hasn’t done anything wrong to deserve this grade, but he hasn’t exactly done anything good either. He wasn’t expected to replicate his 32-point performance from last season, but he was expected to have more than seven points after 41 games. He likely won’t contribute much during the second half, but he remains a steady presence on the penalty kill and can win a key faceoff or two late in games. 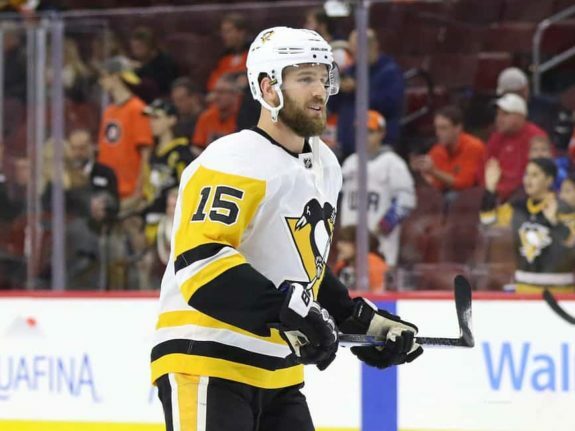 Not much was expected of Grant when he signed as a free agent this summer, and the Penguins haven’t gotten much in return. In 22 games Grant has two goals and three assists. He doesn’t play much, but he’s been fine on the penalty kill when called upon. When the Penguins acquired Brassard back in February, he was supposed to give the Penguins unmatched depth down the middle. So far, especially this season, that hasn’t been the case. In 33 games this season, Brassard has just 13 points — seven goals, six assists. It puts him on pace for 29 points, which would be the worst output over a full season in his career. To put it simply, Brassard has failed to live up to expectations. The 31-year-old needs to be better over the second half. 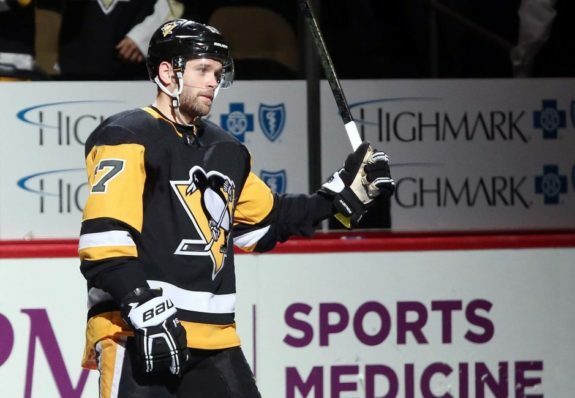 As discussed in the last Penguins Pulpit before the New Year, the Penguins have to stay the course with Brassard because of the lack of options they have to replace him are thin. On the flip side, if he continues to struggle the Penguins aren’t going to be able to tolerate it much longer. General manager Jim Rutherford may have to clean out the farm in a trade for Matt Duchene or Brayden Schenn come deadline day. 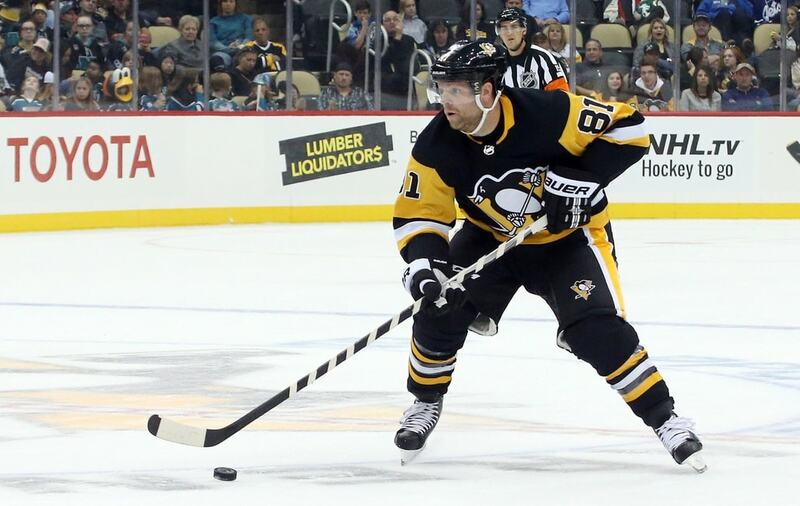 After posting a career-high 92 points — 34 goals, 58 assists — last season, Kessel looked well on his way to topping that number, with 15 points in ten games during the opening month of 2018-19. He cooled off a bit once November came around, but a recent hot stretch has brought him back up to 47 points — 17 goals, 30 assists — in 42 games this season. There aren’t many negatives when it comes to Kessel. However, if there is one complaint about his play this season, it’s his reliance on the power play. Of his 47 points this season, 20 have come on the man advantage, including 17 of his 32 points since November. The Penguins would surely like if Kessel started producing more at even strength, but nobody’s going to complain about a 92-point pace, regardless of how you collect them. While the Penguins have many players more skilled than Hornqvist, the 32-year-old is the heart and soul of the team. It’s clear Penguins’ level of play is different when he’s in the lineup compared to when he’s absent, which is why it’s good to see him on pace to play more than 70 games (73) for just the second time since being traded to Pittsburgh at the 2014 NHL Draft. As for his play this season, Hornqvist has 25 points in 33 games. Hornqvist has traditionally done most of his damage on the power play. This season, however, Hornqvist has been fantastic at even strength. Eleven of his 15 goals and 19 of his 25 points have come at even strength, putting him on pace for career highs in both categories despite missing nine games so far. The pesky Swede will continue to be an essential part of the roster over the remainder of the season and potentially deep into the spring. After scoring just one goal and seven points over his first 28 games this season, the 26-year-old Rust has put up eight goals and 11 points over his last 11 games, bringing him to 18 points — nine goals, nine assists — in 41 games at the midway point. It puts Rust on pace for 36 points, slightly behind last season’s 38 points. However, considering his start impacted those numbers, he’ll likely finish the season with 40 or more points. He’s currently skating on the Penguins’ first line with Crosby and Guentzel, which has been one of the best lines in the league over the last month. His grade is impacted by his early struggles, but his recent play certainly helped soften the blow. The beginning of Rust’s first year of a four-year, $14 million contract didn’t go to plan, but if his recent play is any indication, he’ll be just fine. 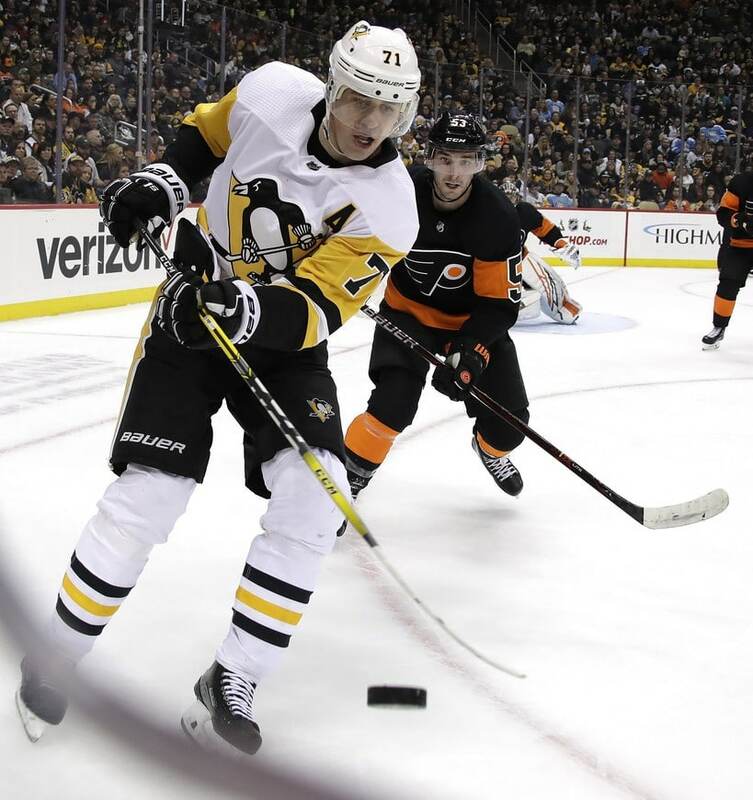 After a 22-goal, 48-point showing in his first full season in 2017-18, the 24-year-old Guentzel will surpass those numbers by early February this season, as he has 38 points — 18 goals, 20 assists — in 42 games. He’s been nearly a point per game player since Nov. 1, with 31 points — 13 goals, 18 assists — in 32 games and his chemistry with Crosby has been on full display, as they’ve recorded points together on 19 goals, and have shared primary points (goal plus first assist) on 12 of them. 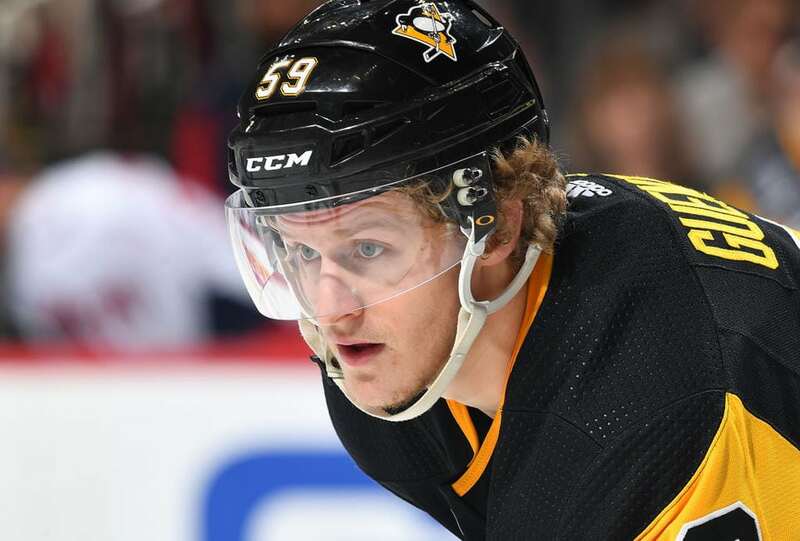 Guentzel’s success earned him a five-year, $30-million contract extension on Dec. 27, keeping him in Pittsburgh through the 2023-24 season. He’s a legitimate top-line winger, and he’s only going to get better. The duo of Guentzel and Crosby have been key in turning the Penguins season around, and they’ll be vital to a potential third Stanley Cup in four seasons. Simon’s missed some time with a lower-body injury but still has 17 points — six goals, 11 assists — in 34 games. Far better than expected at this point of the season. He’s spent time with Crosby, but due to the success of the Rust-Crosby-Guentzel line, Simon is currently skating with Malkin and Hornqvist on the second line. There’s a lot to like about Simon’s game. He’s smart, has good hands, is quick and has a solid shot. It does help that he’s on pace for 37 points this season but doesn’t need to put up 60-point seasons to help the Penguins win games. Simon has to keep doing what he’s done all season and do the little things right. 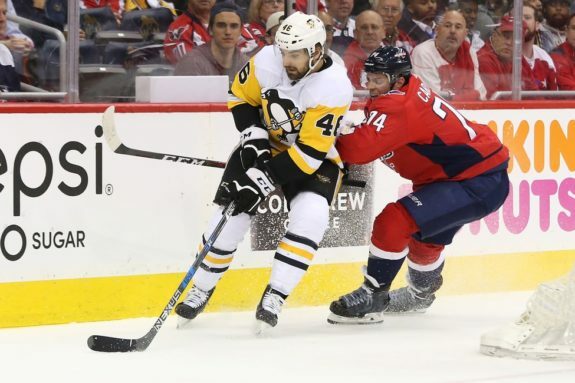 Aston-Reese began the season with Wilkes-Barre Scranton of the AHL to regain his confidence after Tom Wilson broke his jaw during the playoffs. After posting nine points — six goals, three assists — in 11 games Aston-Reese was promoted to the big club and has been solid, if unspectacular over his 28 NHL games this season, recording five goals and six assists for 11 points. Aston-Reese’s ability to be physical and produce offensively makes him a good fit on any line, but he seems to have found a home on the fourth line alongside Cullen and Sheahan for the time being. Their recent play has given the Penguins the ability to roll out all four lines with confidence, which is critical as it gets deeper into the season. His production will suffer because of his role, but it’s not going to be a problem if he does his job every shift. Acquired from the Los Angeles Kings on Nov. 14 for Carl Hagelin, Pearson started his Penguins career strong with four points in six games. He’s since cooled down with just two goals and five points over his last 20 games, but he’s still been an upgrade on Hagelin’s production. In 26 games with the Penguins, Pearson has nine points. The 26-year-old has found his place on the third line with Brassard and Kessel and should be a solid contributor over the remainder of the season. He brings a good physical game beside playmakers in Brassard and Rust. With his current contributions, Pearson earns a C grade. 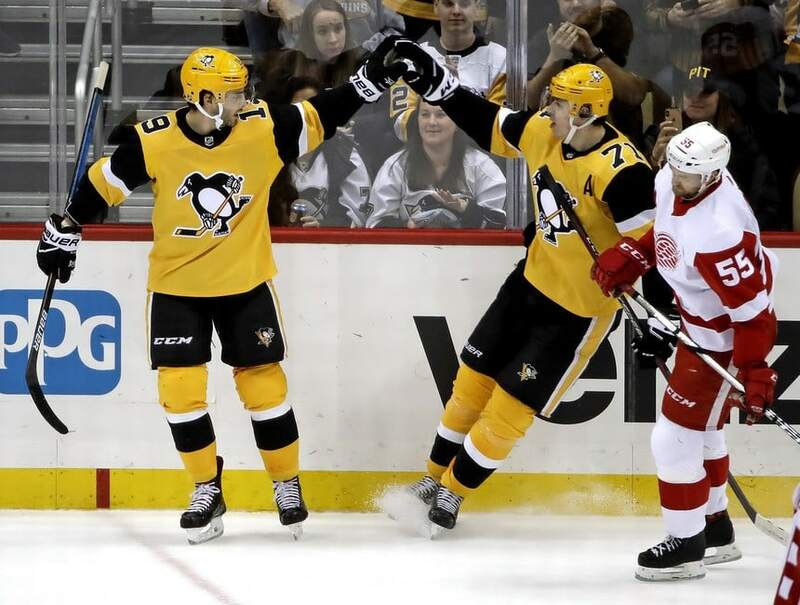 The Penguins have a habit of struggling at the start of the season and gradually picking it up as the season goes on and the beginning of the 2018-19 season was no different. Their best players are all healthy and are at the top of their games except for Malkin. The depth scoring seems to have stabilized which will be a significant factor in how well the Penguins do over the rest of the season and in the postseason. The only urgent problem that needs to be addressed is Brassard and if he’s the answer for the third line center spot. Though with the Feb. 25 trade deadline just over seven weeks away, that will be answered before the end of the season. With the Penguins seemingly in a groove, the second half should be kinder to them than the first half was.